The Colt Summit timber sale on the Seeley Lake Ranger District is the first logging proposal on the Lolo National Forest to be challenged in five years. It has become symbolic of a bigger fight over logging in the Northern Rockies. It is the proverbial line in the sand. It is actually typical of the many timber sales now being promoted by the Forest Service based on flawed assumptions about fire ecology and exaggerated public benefits, so in a sense is worthy of scrutiny since it is representative of what environmentalists around the West are encountering these days. The Colt Summit Timber sale is being challenged by the Friends of the Wild Swan, Native Ecosystems Council, Alliance for the Wild Rockies, and Mountain Ecosystems Defense Council. They have filed a law suit to stop the timber sale arguing that the logging may jeopardize endangered grizzly bear, lynx and bull trout. Also, Wildwest Institute filed a brief in support of the plaintiffs (they are members of the Lolo Restoration committee). The Colt Summit sale calls for thinning in mature and old growth forest, along with shelterwood cuts (essentially a clear cut with most of the larger trees removed) along with extensive prescribed burning in what is clearly one of the last contiguous forest corridors left in the Seeley Swan Valley. The FS admits that it’s one of the few intact unfragmented tracts of federal forest in the Swan Valley, but then ignores its significance. The proposed timber sale is in Situation One occupied grizzly habitat, and critical lynx habitat. Streams in the sale area support endangered bull trout. The logging operations, and the human presence is likely to have negative impacts on these species. To its credit, the Forest Service has designed the timber sale to mitigate some of the worse impacts of logging. For instance, most of the logging will occur in winter with over-snow removal of trees to reduce the need for road construction and disturbance that can lead to weed spread. But reduction in logging impacts is not the same as no impacts. And in a region that is already significantly over cut, any new logging has disproportionate cumulative negative effects. Here’s a photo showing clearcuts surrounding Lake Inez. Seeley Lake is further out. All of these clearcuts lie between the Colt Summit area and Seeley Lake. Like all timber sales today, the Forest Service is ostensibly not cutting trees just to provide lumber or profits to timber companies. The agency no longer has a public license to log simply to enrich timber industry corporation coffers, so they use other rationales that play upon the public’s fears and misunderstandings. The agency now logs for dubious rationales including forest health, to reduce fire risk, to “improve” wildlife habitat, increase recreational opportunities and other presumed public benefits. Beyond the somewhat fallacious assertion that logging can be justified on the basis of reducing fire hazard in the Wildland Urban Interface, the agency asserts that road closures, by reducing sedimentation into streams, will be a net benefit. There is no doubt that closing any road is a net benefit. 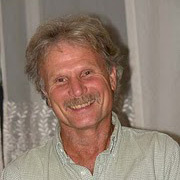 However, the agency stacks the deck in its analysis by comparing the on-going excessive road density and problems associated with it such as chronic sedimentation into streams, with an alternative that closes some roads, but calls for significant logging as the “price” for road decommissioning. As a result it can suggest that logging “improves” the landscape over the current situation. There is, unfortunately, no alternative that compares the no action or current condition with an alternative that closes roads, and only proposes thinning in the immediate vicinity of Seeley Lake, along with modification of homes to reduce flammability such as requirement for metal roofs. Such an alternative would clearly be more cost effective, better for the land, and more effective in reducing fire risk than the Forest Service’s current proposal. Advocating for logging so you can close the very roads created by the logging sale and even if you close a few other miles of roads is a bit like building a couple of new dams and then putting in fish ladders to improve fish migration. Sure fish ladders is an improvement, but one doesn’t have to build dams as a justification to marginally improve fish movements. Neither does one need to log the forest to justify removal of the very roads used to log the forest. If road closure is good for wildlife, they should be closed regardless of whether there is a timber sale in the area, not use the road closures as an excuse to justify logging. 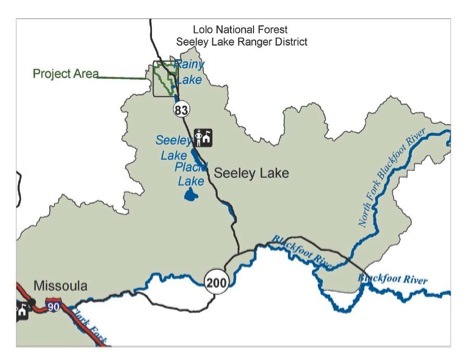 Part of the objections made by the groups suing the Forest Service is the fact that the Colt Summit timber sale occupies the last remaining strip of unlogged forest connecting the Swan Range to the Mission Range in the entire Seeley Swan corridor. As a result it is important for the movement of wildlife like the grizzly and lynx from one mountain range to the other. If you go to Google Earth and put in Seeley Lake Montana then move northward following the Highway 83 corridor you will see from space what is not visible to causal observation—a highly fragmented and ravaged valley. Here’s a link to a short video showing the sale area and the surrounding butchered landscape. Look west of Seeley Lake and Lake Inez on Google Earth and you will see miles of clearcuts and logging. Same pattern for the land east of these lakes all the way to the foothills of the Swan Range. Continue north past Lake Inez and Rainy Lake and you will come to the circular pond known as Summit Lake among unlogged forests that lie on the watershed divide between the Clearwater River flowing south and the Swan drainage flowing north. Immediately north of the watershed divide you will see many more clearcuts on the Flathead National Forest—all the way to Swan Lake. I’ve seen a lot of butchered landscapes in Oregon and Washington, but the Seeley Swan Valley gives either of those states a run for the prize as most abused and degraded landscapes. It will become abundantly clear why groups like the Alliance for Wild Rockies, Friends of the Wild Swan and others are arguing this sale will degrade the connectivity between the Mission Range and Swan Range. Yet the Forest Service has the audacity to propose more logging in what is already one of the most fragmented forested valleys in Montana and amidst one of the last forested corridors that stretches across the Seeley-Swan Valley. MORE LOGGING PLANNED—CUMULATIVE IMPACTS ANYONE? Worse for the Colt Summit corridor, is that the Forest Service has four or five other timber sales planned for the area both north and south of Summit Lake. For instance, the proposed Glacier-Loon timber sale lies just north and west of Summit Lake. 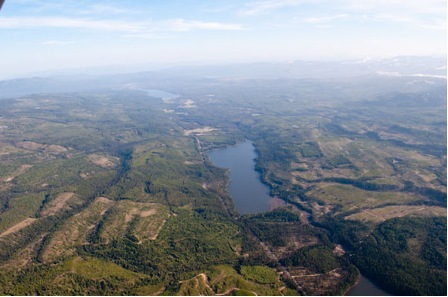 The proposed Summit Salvage timber sale lies north and east of Summit Lake between Holland Lake and Clearwater Lake. Several other proposed timber sales, including Beaver Creek timber sale, lie to the west and south. If all of these are permitted to be logged, along with Colt Summit, it will destroy the remaining connectivity in the southern Swan Valley. Past over logging combined with new proposed timber sales clearly poses a cumulative impact on affected wildlife species. It’s disingenuous for the FS to declare that logging Colt Summit will improve habitat for lynx by creating additional acres of younger age tree stands. Any review of the surrounding land of clearcuts would demonstrate that young age class trees are not in short supply. Rather it is old growth with down wood that is scarce on the Seeley Lake Ranger District due to the excessive past logging of the area by Plum Creek timber company, state of Montana and the Forest Service. The worst part about the Colt Summit proposal is that it’s based on faulty and perhaps purposefully deceptive ideas about wildfire ecology and fire risk. Nevertheless, distortion of science is not something that can halt a timber sale. So the conservation groups suing the FS are using one of the limited legal handles available—the ESA to draw attention to what is a poorly planned and unnecessary logging operation. This timber sale is predicated on the assumption that fire regimes in the Colt Summit area are outside of their historical variability. It appears the Forest Service is confusing fire regimes. It appears to be applying the Southwest Model for ponderosa pine forests of short fire intervals and low intensity blazes to the Colt Summit’s lodgepole pine and subalpine fir forests. These forests tend to burn infrequently and usually as stand replacement intense blazes. This gets to problem number two. There is quite a bit of new debate about how effective fire suppression has been, particularly in the higher elevation/moister forest types such as we find dominating in the Colt Summit. In other words, even if this area didn’t have naturally long intervals between fires, it’s questionable that fire suppression has had a significant influence on fuels. There has been a period of significantly wetter and cooler conditions that has prevailed for nearly 50 years between the 1940s until the 1990s that reduced fire spread throughout the Rockies. These forests are frequently too wet naturally to burn except when there are severe fire conditions and then they tend to burn in stand replacement blazes. The idea behind thinning is that fuels are the driving force in fires. However, a growing body of evidence suggests major climatic conditions are what drive fires, not fuels. If climate/weather is dry, with low humidity and high winds, fires tend to burn through all kinds of fuel loadings. Many studies question whether fuel loadings have significant influence on fire spread under these severe climatic conditions. There are also scientific studies that show thinning can often increase fire severity so it’s by no means a guarantee that thinning operations will have even a neutral influence on fire hazard. The frequent failure of thinning to halt or even slow major fires under severe conditions is obvious by reviewing large fires throughout the West. The closest is the Jocko Lakes Fire that burned the area just to the west of Colt Summit. The Jocko Lakes Fire burned through a landscape that was heavily logged, and thinned. There were a lot of clearcuts. If logging can halt or reduce the spread of fires, the Jocko Lakes area would have to be a good test. It failed miserably. To suggest that thinning which is a much lower reduction of fuel compared to a clearcut will significantly slow or stop fires is reckless at best, giving the community a false sense of security. WHAT IS THE BEST WAY TO PROTECT HOMES? Research has shown that the best way to protect individual homes and/or a community from fire is to reduce the flammability of the buildings, not trying to fireproof the forest. Putting on a metal roof, and clearing burnable materials around a structure would be far less expensive and effective method to protect Seeley lake. If the Forest Service were really working for the public interest, and not the timber industry, they would be promoting home protection over logging. It’s cheaper. It’s more effective. It does not require disturbing the forest. It would even provide jobs. It just doesn’t provide profit to timber companies. Logging will impact endangered species like lynx. The work of lynx biologist John Squires and others repeatedly demonstrates that older forests with a lot of down woody debris (DWD) is critical lynx habitat. Thinning the forest will remove dead trees, and thus will contribute to a reduction to recruitment of dead woody debris in the future. So not only would logging destroy existing lynx habitat today, but it will significantly reduce the creation of additional lynx habitat in the future. The FS and its supporters suggest that the Colt Summit timber sale will be a net benefit because an estimated 25 miles of road will be decommissioned or stored. Road closures are desperately needed to be sure, but what isn’t made clear is that the majority of roads to be closed are ones that are created and/or reopened to facilitate the Colt Summit timber sale. The Upper Clearwater watershed where Colt Summit is located is heavily roaded. According to the FS “road densities were high in most of the drainages… . All drainages had between 20 and 30 percent of roads within a 300 foot buffer of a stream.” The FS own fish biologist opines that “sedimentation is also an increased concern due to the high amount of timber harvest, roading, and sensitive soils within this watershed.” The conclusion of the fish biologist is that nearly all sub drainages in the Clearwater drainage were functioning at an unacceptable risk” for sediment. One way the FS sugar coats its road building enterprises is by suggesting that new roads will be “temporary” and most logging activity will be limited to winter when snow cover will reduce impacts. There is some truth to these assertions, but even the best logging practices will contribute new levels of sedimentation to a system that is clearly already severely degraded. And at least some of these temporary roads will be open for at least six years that the timber sale is implemented guaranteeing that many of these impacts will occur for a considerable amount of time. All of these new roads will be providing new access to hunters/trappers as well as illegal ATV use, the spread of weeds, and in some cases, additional sedimentation into streams, and other harm. All of these are minimized in the FS EA so as to suggest a net benefit to the logging operations. And even after road closures the impact of roads continues. Roads, even closed roads, are not the same as no road. A closed road still provides easier access to snowmobiles (and trappers use snowmobiles—lookout lynx) and ORVs, and even hunters on foot tend to follow old roads, thereby reducing security for wildlife. There is also some deception in the statement that the FS will close 25 miles of roads, because by my count at least 14.5 of these miles are a direct result of the proposed timber sale. So the 25 miles is an inflated number. i.e. without the timber sale, one would have fewer miles of road to close in the first place. The closure of 4 miles of streamside road 646 adjacent to Colt Creek will have the greatest benefits by reducing sedimentation in streams. However closure of this road is on-going and not opposed by the appellants. In addition the EA says that roads will be “decommissioned and/or stored”. It does not define decommissioned. In many cases if a road bed is not ripped up, the slope restored, and trees planted on the site, it cannot be considered “restored.” Worse, stored roads definitely mean they will be reused at some future date. Furthermore, animals like the grizzly avoid areas of human use. Even a closed road is avoided for a long time after human traffic ceases. In one study in the South Fork of the Flathead, FWP showed that bears would avoid up to 2 miles on either side of an active road, and even a closed road. Using a 2 mile standard, the timber sale will nearly affect the entire width of the Swan Valley in this location. Finally it’s important to note that the groups that are opposing the timber sale are not opposed to any road closures. Ground disturbance will increase weed establishment and spread. And if you read between the lines in the FS own weed analysis, the suggestion is that despite some requirements for weed control practices, the likelihood of significant increase in weed establishment is foreseen. The logging should be considered as part of a cumulative impacts. The FS is proposing timber sales on all sides of Colt Summit. When all these logging operations are considered together, along with the negative impacts of past logging, it’s clear the cumulative effects from this are significant. In the end, Colt Summit is not in the public interest and if implemented will have far more negative impacts to our public lands than any benefits. Lived and worked in that country last summer. Forest connectivity between the Mission and Swan ranges is almost non-existent like the article states. To propose a timber sale in the one last stand of intact forest in the Seeley/Swan is reprehensible. Thanks George for an in-depth look at this ill-advised timber sale. There was kind of an interesting comment that came in from a “Jacob” who lived in the valley, but he gave a fake email address. Too bad.